A Quality Control Inspector is involved in a variety of different quality control processes. They check fabrics for flaws and defects, make sure that colours are correct and examine the strength of the final product. As Assistant QC you will take direction and fully support the Quality Controller. 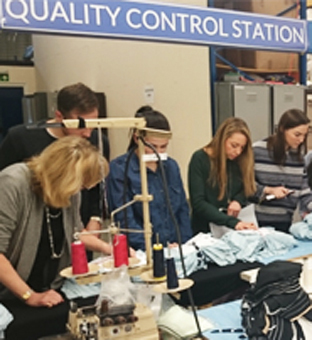 In the apparel and footwear sectors, QC’s check that seams and/or stitching are neat and strong, and verify that all products are produced to the same size and standard. Quality Control Inspectors need to keep accurate records of products checked, sometimes carrying out a statistical analysis. They often produce written reports for the production team and have regular meetings to discuss how quality standards can be maintained, or highlight problem areas that require review.